My main research interests are in the areas of formal methods, especially in connection with real-time and distributed systems, semantics of concurrent systems, and verification of concurrent systems. We develop techniques for detecting and removing security vulnerabilities in software. Applications inlucde software for IoT devices. The positions are funded by the newly awarded aSSIsT project. Reading group on software testing and fuzzing starts February 28. CONNECT, a project on synthesis of networked components. Last updated 15 April 2007. 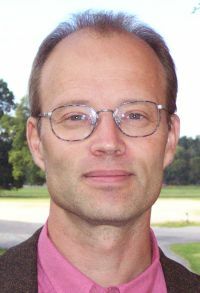 Responsible: Bengt Jonsson. Web: Contact. Copyright © 2006 Uppsala University, Department of Information Technology.